All thing handmade, handcrafted, trash 'n' treasure, quirky vintage, memorabilia and antiques... 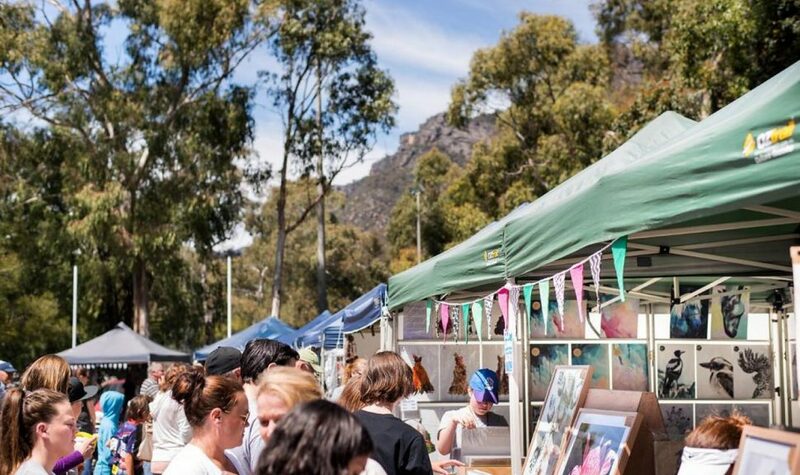 The Grampians has a bounty of markets to meander through this Easter break! The Moyston Easter Market features a wide range of stall holders will be selling homemade, homegrown and pre-loved items. Children are catered for with a free Easter Egg Trail for under 12 year olds. There will also be various art activities for children. Moyston is credited as being the birthplace of Australian Rules Football, Tom Wills spent his formative years at Lexington Station. Why not try your skills in the Longest Football Kicking Competition? There are many classes, including juniors and ladies. This kicks off at 11:30am. Sit down in the Pavillion and enjoy Devonshire Tea or a light lunch, or enjoy a gourmet barbecue run by the local Football Netball Club. Vintage cars will also be on display on the Oval and live music provided by local duo S.O.F.T. Market stalls take over the main street in Balmoral selling handmade items, second hand goods, food, plants and produce, with all profits going to community and charities.